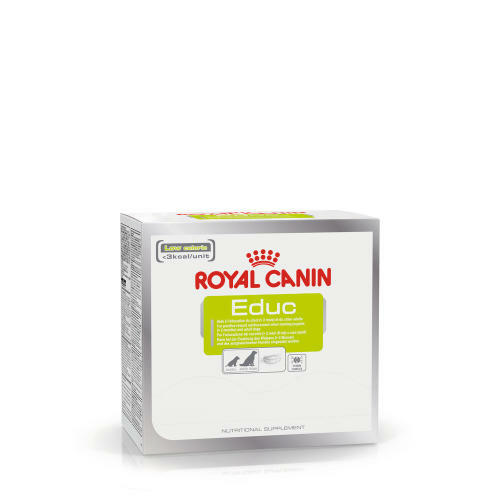 Royal Canin Educ are mouth watering low calorie treats ideal as training aids or as rewards for best behaviour, & less than 3kcal a treat! Suitable for any breed from only two months of age, these scrummy treats are also loaded with vitamins E & C to maintain cellular functions. Tapioca, wheat gluten*, wheat flour, vegetable fibres, hydrolysed animal proteins, minerals. Vitamin C: 200 mg, Vitamin E: 500 mg - Preservatives - Antioxidants.